A new peanut butter temptation. Photo: Supplied. What’s better – smooth or crunchy? 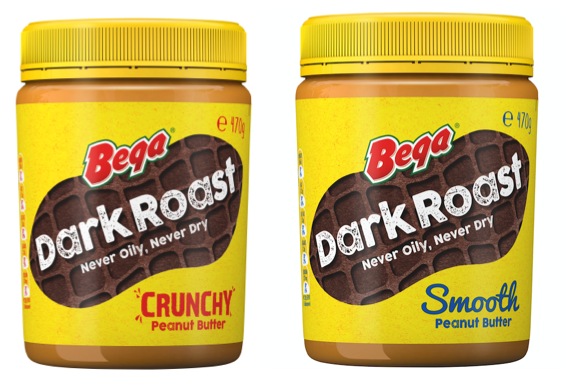 Now South Coast food company Bega has further complicated the great and interminable peanut butter debate by adding Dark Roast to its range. Launched on National Peanut Day, Bega Dark Roast Peanut Butter is a new and robust variety that the company expects to attract its own distinct following (read addicts) thanks to its highly roasted flavour. Bega says it developed the variety to not only accommodate the changing palette of the Australian consumer, but to ensure that the new product offers a sensory point of difference. The recipe may be the same as the original Bega Peanut Butter but the peanuts are roasted at a higher temperature to provide more flavour and the peanuts aren’t just any old peanuts but Hi Oleic peanuts, rich in ‘good’ fats and a source of vitamin B3 and magnesium. They even stay fresher for longer and have extra crunch thanks to those ‘good’ fats. Bega says that with no artificial colours, flavours or preservatives, as well as being a gluten-free option, Dark Roast offers over half of the daily nut target (30g) in each serving. “We are thrilled to launch Bega Dark Roast Peanut Butter and we’re confident that it will satisfy consumers’ palates. Although we’re offering a delicious and robust new variant, Australians can still enjoy the original, never oily, never dry Bega Peanut Butter they have been for decades,” says Bega CEO Barry Irvin. And yes, it’s available in both Crunchy and Smooth.